Quality Enclosure: The quality construction provides a dependable cabinet to store expensive equipment and devices. Adjustable Rails: Universal cage nut style rails can be adjusted from 3" to 28" deep to accommodate various depth equipment. Cooling/Ventilation: Vented side panels and included 78 cfm fan promote airflow and prevent hot spots. 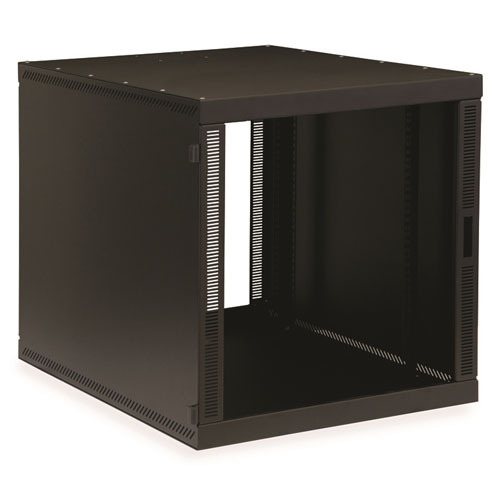 Cable Routing Slot: The 10" x 2.25" cut out on the bottom rear of the cabinet provides a cable entrance point for the network, telecom and/or power cables.